Even after you’ve learned new farming techniques, it’s hard to grow enough food to feed and support your family without enough water to help the crops grow. This was the problem facing Irma Gonon and her family in Willy Wood, Guatemala. Irma had already received training in sustainable agriculture through PWRDF partner Madre Tierra. She grows green beans and other produce to feed her family of seven. Any extra food she grows, she sells to support the family. But their community’s water supplies have been increasingly usurped by agribusinesses in the area, leading wells to run dry in the summer and crops to underperform or fail because of a lack of water. Madre Tierra is a movement of Guatemalan indigenous women that emerged in 1986 when they became refugees in Mexico. During that time and after their return to their homeland, Madre Tierra trained its members in agriculture and leadership skills and negotiated with the government to help re-integrate returned refugees into the region and supported their land claims and re-settlement needs after their return. PWRDF has partnered with Madre Tierra since 1997. A fuller history of Madre Tierra and PWRDF can be found here. 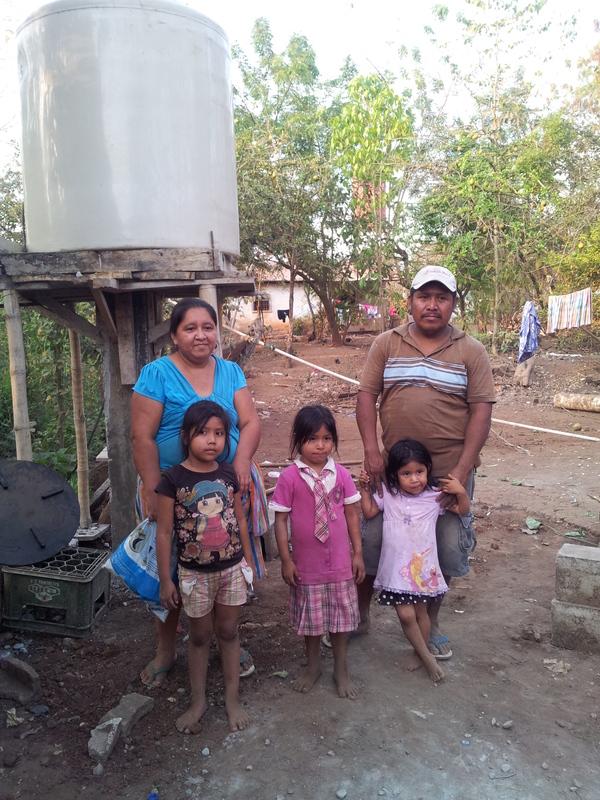 Madre Tierra has installed water tanks and hoses to the Gonons and 19 other families in Willy Wood to allow them to gather and store water. They use this water during the dry season to run a drip irrigation system that releases small amounts of water throughout their fields as well as for use at home, instead of collecting water in buckets from water wells.